The suggested way to acquire our products is buying them directly here. The entire product price (payment processing fees exluded) goes to the developers, who will ♥ you and will be even more committed to building new features and stuff. You create a link with us: e.g. we can directly inform you when updates or fixes are available. The payment is processed by the same company (Fastspring) with the same security features and options than Adobe's. Manual installation with the assets we provide is usually bullet-proof, compared to Adobe Add-ons. 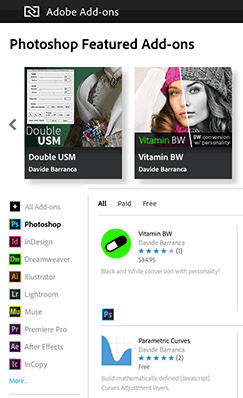 Optionally, you can find and buy our products on Adobe Add-ons, the official App-Store for Creative Cloud Extensions. Same price, same license. Web-based interface (requires the Creative Cloud app). Browse hundreds of Free and Paid Products. Synchronize purchases automatically with your CC account. 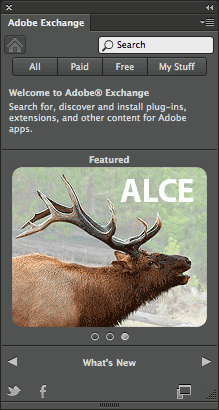 Want the Adobe option but still using CS6? Download the free Adobe Exchange panel, the app-store version for CS6 products. Find and buy there Free and Paid Products. You can also find and buy our products on AE Sctipts - Repository and marketplace of high-end tools for many leading 2D and 3D software packages which markets our After Effects, Premiere and Photoshop products. Preffered place to buy our After Effects and Premiere Plug In's. 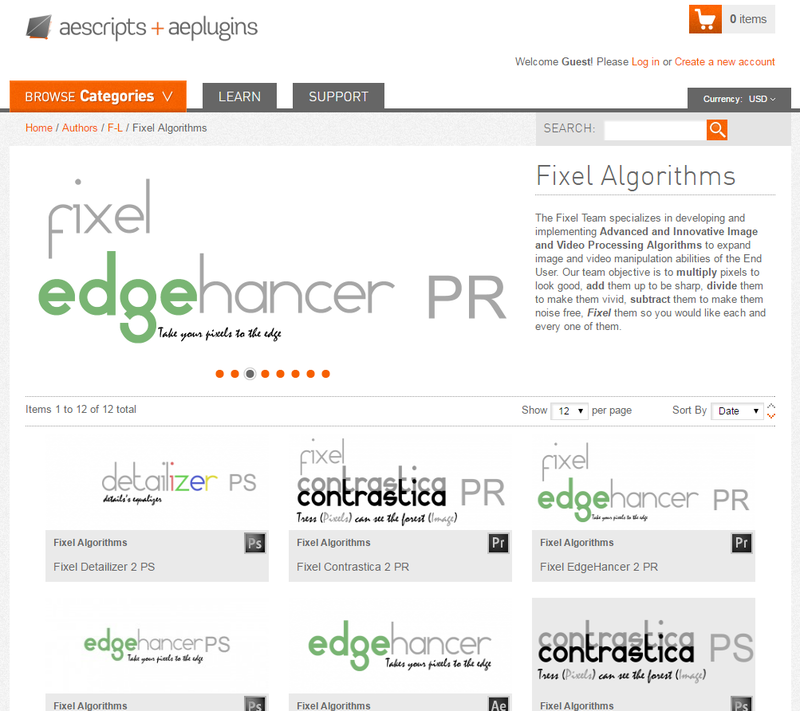 Browse hundreds of Free and Paid Scripts & Plug In's for Photoshop, After Effects and Premiere. Bundles of our Plug In's for Photoshop and / or Premiere and / or After Effects at a special price.